Tsumeb, a world renowned copper-lead-zinc deposit in Namibia, produced some of the finest minerals known today between the years of 1907 and 1996. The mine survived two world wars, led to the naming and discovery of several knew species (Including best-in-class specimens) and comes with a multitude of stories from collectors, academics and enthusiasts from around the world. 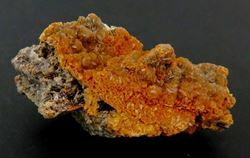 Unique in the respect that three oxidation zones are present in the mine (Excluding the supergene environment), with large vugs and high fluid flow through the dolomite host rock of the Otavi highlands, all factors leading to the development of some of these amazing minerals. 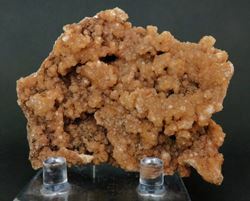 Here we offer to you some of what we find to be interesting from the mine, some from our personal collections, and of course all for sale. Tsumeb Mine, Otjikoto Region, Namibia. 60mm x 50mm x 30mm. 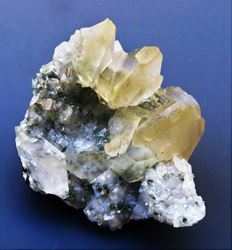 Tsumeb Mine, Otjikoto region, Namibia. 80mm x 70mm x 40mm. Tsumeb Mine, Otjikoto Region, Namibia. 30mm x 30mm x 20mm. Tsumeb Mine, Otjikoto Region, Namibia. 40mm x 30mm x 20mm. Tsumeb Mine, Namibia. 80mm x 60mm x 20mm. Tsumeb Mine, Namibia. 60mm x 30mm x 25mm.